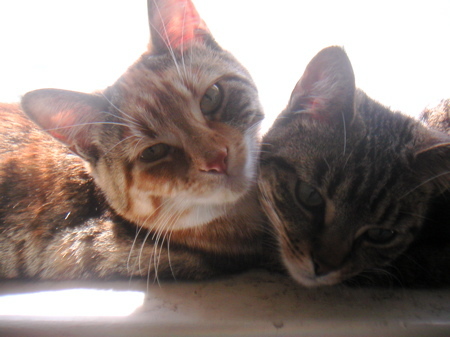 The girls are just beautiful….& so cosy & contented together. Wish our girls were as friendly as this. June & Audrey fight/play, too, but they always spend part of the day cuddling. And looking cute so I don;t get too mad about the fight/play destruction!